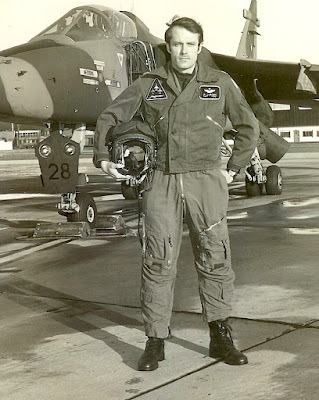 Finding Hemingway for "The Pilot; Fighter Planes and Paris"
Author Ed Cobleigh when he was a fighter pilot with the Royal Air Force. While writing my new novel, The Pilot; Fighter Planes and Paris, I embarked on a nighttime quest in the City of Light to visit some of Ernst Hemingway's old haunts, those he experienced during the 1920's Lost Generation era. Ernie's thoughts would figure prominently in the book and I needed to absorb the ambiance and the alcohol he adored to strike the right tone in my descriptions of Paris. I began my journey at the Shakespeare and Company bookstore (37 Rue de la Bûcherie, 5th Arr. across the Seine from Notre Dame) to see if they stocked my first book. This isn't the original location of the store, but who cares. They didn't have War for the Hell of It. For a moment, I contemplated secretly slipping my own copy on a back shelf, easy to do in the labyrinthine, cluttered shop. They would clear 100% of the price when someone bought it and I could boast of my book being sold in the famous store. But, I had an uncharacteristic attack of good judgment and abandoned the reverse shoplifting idea. Next stop, a short walk away, was the bistro Les Deux Magots (6 Place Saint-Germain des Prés, 6th Arr) in the Quartier Latin where I nursed a café creme as Papa had and waited for James Joyce to show. He didn't. 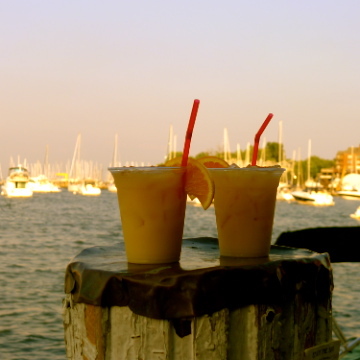 I wondered how Hemingway got any writing done there what with all the tourists. Maybe it was different back then. I never liked Joyce anyway, he wrote unreadable gibberish. A longer walk took me to another legendary bistro, La Closerie des Lilas (171 Blvd du Montparnasse, 6th Arr. on the edge of Montparnasse). An Armagnac at the bar was the obvious historic choice that night. As I sipped, I was appalled to find no Hemingway memorabilia in view. Strange, considering that The Sun Also Rises is rumored to have been partially written there. At least they could have displayed a small portrait of Ernie or mounted a stuffed Marlin on the wall. I pondered the lack of homage. For Americans, Papa is an icon, but for the French, he was just another expat writing novels, like me. Well, sort of. When I pushed away from the bar, a tiny brass plaque caught my eye. It read, "Reservée à E. Hemingway." I was sitting at Hemingway's place at the bar! Now, that was more like it. I felt inspired to write some bad Hemingway, at which I excel. 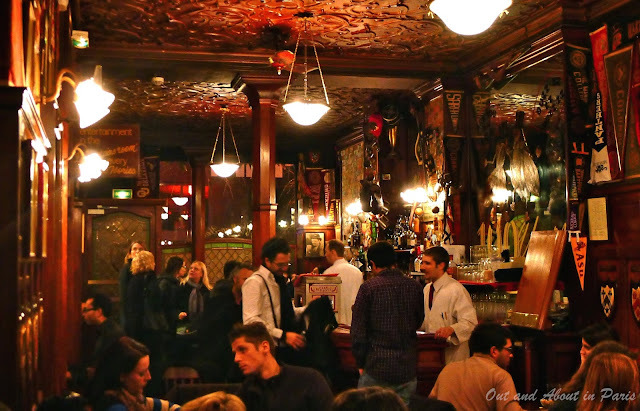 A taxi ride to La Rive Droit deposited me in front of Harry's New York Bar (5 Rue Daunou, 2nd Arr) a side-street watering hole that looked like it hadn't been remodeled since Hemingway was last in. My libation choice was a French 75, the cocktail supposedly invented by Franco-American WWI flying ace Raul Lufbery during the Great War and named after a lethal anti-aircraft gun. While Harry's and the French 75 were achingly authentic, I found the joint to be too much like, well, New York. With visions of Fokker Triplanes and Sopwith Camels dog-fighting in my brain, I decided to end my night's pilgrimage at the Hemingway Bar in Le Hôtel Ritz on Place Vendome (15 Place Vendome, 1st Arr). Ernie wrote about personally liberating the bar at the Ritz in 1944 to make the world safe for drinking among civilized company and to rescue his trunk containing the manuscript for A Moveable Feast from the basement. At the Ritz, the Maitre' D barred my way in. I told him in my best "Foreign Correspondent" voice, "You let Hemingway in. He was far rowdier than I am." The reply came back, "Ah yes, but you see Monsieur Hemingway, unlike yourself, knew how to dress properly." Shot down in fashion flames, I sulked off into the night, but not before I had gathered enough material to bring a chapter to vivid life in the new book. Did I capture Hemingway's Paris? No, but my fighter pilot protagonist patrols the present-day city when not engaging the Bad Guys in air combat. The Hemingway Bar at the Ritz is now closed. By all accounts, it was a true and honest and brave bar where a man could get a straight drink and meet a beautiful woman. A strong woman who would help him to drink and love and live and die like a man, which aren't the same things. 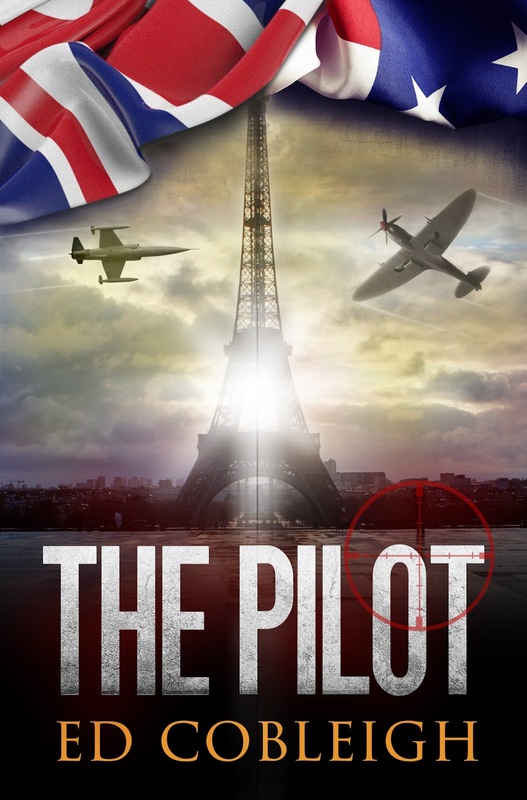 Ed Cobleigh is the author of War for the Hell of It and The Pilot; Fighter Planes and Paris. He has flown fighters with the US Air Force, US Navy, Royal Air Force, and the French Air Force. He and his wife Heidi live in California's wine country. 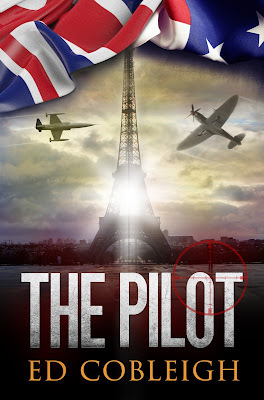 Don't miss the giveaway of The Pilot; Fighter Planes and Paris on "Out and About's" Facebook page on Thursday, June 25, 2015! 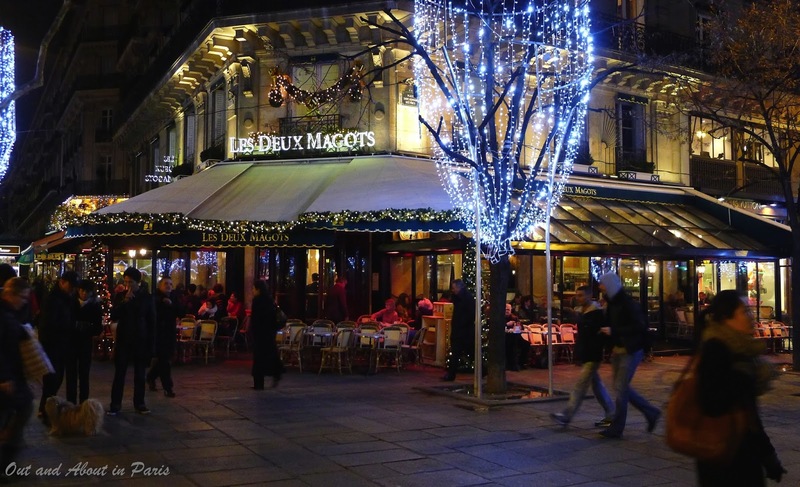 Les Deux Magots, one of Hemingway's haunts, decorated for the holidays.